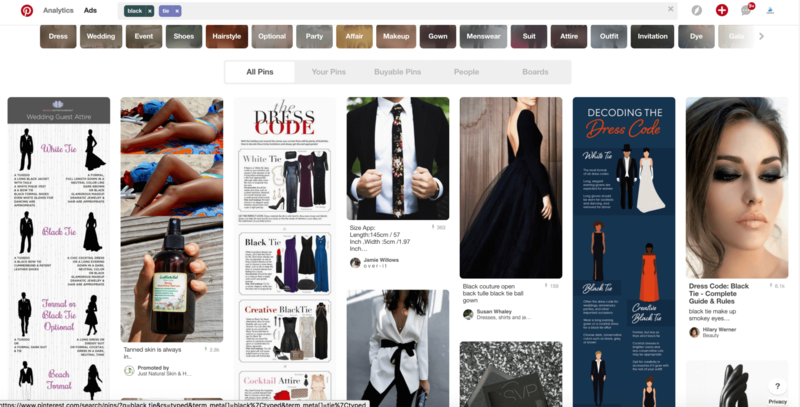 Promoted Pins are Pinterest ads, which allow you to pay to have your Pin seen by more Pinners. They often perform better than organic Pins, bringing in more clicks, saves, leads, and sales. With new targeting options and vastly-improved dashboard, advertisers are finding success on Pinterest – and sometimes at a steal. Have you tried Pinterest Promoted Pins? Would you like to increase your advertising results AND reduce your ad spend? With a few simple tips, you can do just that. In this article, I’ll share tried and tested suggestions from the experts. Use any one of them and you’ll be promoting with confidence in no time! Before I get to the tips, let me introduce myself. My name is Alisa Meredith and I’m the new Content Marketing Manager here at Tailwind. Pinterest Promoted Pins is my passion and so I’m fortunate to be able to manage the Pinterest ad campaigns (among other things) for Tailwind. If you have never run a Promoted Pin campaign, don’t fret! There’s a step-by-step over here, and really, the walkthrough of the steps that Pinterest gives you is very simple. What follows are pro tips that even beginners can use. Let’s go! Psst... Want to see how Pinterest can multiply your online store's traffic and sales in 2018? Watch our free training for 5 core lessons to attract your perfect-fit customers. Pinterest allows you to target Promoted Pin Ad Groups to your own audiences. These warm audiences tend to convert to website visits, sales, and email signups at a higher rate than do strangers (cold audiences). In fact, some (including ME) have seen click-through rates 3X when using visitor targeting. They’re very easy to set up at Ads > Audiences. An engagement audience that engaged with Pins from your confirmed domain. An actalike audience that behaves similarly to one you already have. BUT, you can only target visitors if you first install the Conversion Tracking code on your site. Before you run screaming from the terror that is “code,” let me assure you – it is very simple, especially if you use WordPress. The code, which you get at Ads > Conversion Tracking, just needs to go on every page of your site in thetag. If you install a plugin such as Insert Headers and Footers, it will take you all of thirty seconds. Naturally, it only begins collecting data on visitors the day it’s installed – so do it now! To target your own customer or email subscribers, just import a .csv file of email addresses only. You’ll want to update this file regularly. Actalike audiences are based upon an existing audience. Pinterest sees their Pinning behavior and matches them to other Pinners not in your audience. This is my favorite way of expanding the good results from a highly-successful audience. Oftentimes, our own audiences are pretty small, which means we can’t get the reach and clicks we need. So, starting a new ad group using an actalike is a great way to find people with similar interests and behaviors and increase your impressions 30X while keeping CTR high. Start with a 1% similarity and branch out from there if you need still more. Actalike audience options – powerful targeting! While audiences can give you some real wins, targeting your ads by keyword – especially if you have a retail store, is a great way to display your Pins seen to a large number of potential buyers. Ignoring keyword targeting could keep you from getting the impressions you need to get the clicks and sales you’re looking for. Until Pinterest Search Ads are available to all, we have to lump all our keywords into one ad group with one bid. This means, if you keep your bids low (as I do), your Pin may never be displayed for the more competitive keywords. Unless you have an enormous budget, you may be OK with that. If you find that some keywords which are important to you are not generating impressions, start a new ad group with a higher bid per click to generate the exposure you need. The funny thing about targeting by keyword with Promoted Pins, is that you’d think those Pins would only show up in search results, so you’d reach people when they’re looking for what you’ve Pinned. Not so! Pins targeted by keyword only often show up in the home feed, too! Knowing that “keyword” targeting has more to do with the Pinner’s overall Pinterest behavior than their in-the-moment search really frees you up to go broad with your keywords. In fact, if you keep too tight with your keyword targeting, you may find it hard to get the impressions you need in order to evaluate your campaign. And not much more. After all – you want to make sure you give them what they are looking for to keep your click-through rate up (which, by the way decreases the cost of your ads). Anything that might interest someone who is interested in blue stilettos is likely fair game. Pinterest is fairly lenient here because of the way keyword targeting works, but if you get too out there, say, targeting, “DIY planters,” your Pin will be rejected. Pinterest suggests that 100 keywords is the sweet spot, but you can get results with fewer. For instance, check out the tiles below the search bar when I perform a search for “black tie” on Pinterest. One of them is “Shoes.” This tells us that people who search for “black tie” are also interested in shoes – and if you scrolled down you would see quite a few (gorgeous) pairs of shoes in the results! Pinterest is telling me that “shoes” and “black tie” go well together! If your own audience is small OR you want to reach new people with your content, try using keywords to get your Pin in front of more Pinners. The number one question regarding Promoted Pins? “How much should I spend?” What is a click worth? Naturally that is different for everyone. But one thing is for sure, you do NOT need to pay what Pinterest suggests to get results. Eeek! Start off low. Even $.15/click is often enough to get things rolling. If after a few days you notice your impressions are very low, inch that bid per click on up a dime or two. I like to keep doing that until I see it “catch” – or gain a bit of momentum. A note on ad groups. Your ad group is where you set your daily budget and all your targeting. It can be very tempting to break out your targeting into dozens of ad groups for easy analysis. If you have time for that, by all means, go ahead, but be aware that if your ad groups are below about $5/day, it’s going to take a long time to get a clear picture of what is working and what isn’t. After all, if you bid $.25, and your daily budget is $1, how long will it take before you know if those clicks are converting at a decent rate? What’s a One-Tap Promoted Pin, you say? Those are Promoted Pins that, when you click on them bring you directly to the website – skipping the expected step of the close up. One tap will generate more clicks through to your site, naturally. And more click throughs can lower your cost per click (Pinterest rewards ads that perform). But they can also result in a much higher spend without many more conversions ON your site. If you want to try them, start out with campaigns that target people who already know you – your visitors and your customers. These people may find the experience of being whisked away from Pinterest before they expect if they know and trust you already. Sometimes a Promoted Pin will hum along for a while and then, all of a sudden, your click-through rate falls through the floor. So disappointing! Rather than just turn it off, why not create a new image for it? It could be that ad fatigue is setting in. A snappy new graphic could be just the thing to bring back the excitement. Or, you can use Google Analytics and UTM tracking to find your leads and sales inside Google Analytics. It’s a little tricky to set up, but so, so worth it. If you choose to just watch clicks to your site, you’ll never know if your Promoted Pin traffic is converting to sales or leads. Turn off targeting that is ineffective or disproportionately costly. If you’re not spending your budget, raise your bid or expand your targeting. CTR low? Try new creatives. All the traffic in the world isn’t going to help your bottom line if your website doesn’t convert well. Pinterest visitors do, in my experience, tend to be a bit more easily distracted than people coming in from other networks. So, give them opportunities to sign up or buy early – and often. Don’t expect people to read to the bottom of a page or post. Tasteful pop ups and sliders can work well here. Do your best, too, to keep the look of your pages at least somewhat similar to your Pins. If there is too great a disconnect in style or quality of images from Pinterest to site, you lose people before they’ve read a word. One other HUGE factor is how your site performs on mobile. If you check your Google analytics, it is likely you will find that 80% or more of the traffic from Pinterest to your site is from Pinners on mobile. If your site doesn’t convert well on mobile, you should fix that now! In the meantime though, limit your ad group targeting to desktop only. Don’t wait until you get people to your site to tell them what you want them to do. Include clear calls to action in your image and your description. Doing so will prepare Pinners to convert on your site. Notice the use of the CTA, “See my…” If Jeff had simply promoted an image of a tool box, it wouldn’t have told people what it was and what he wanted them to do. You can bet his signup rate would NOT be good at all. As it is, this one is working! If you follow even one or two of these suggestions, you’ll see your click-through rate increase, your cost per click decrease, and your leads and sales pick up. Which one will you try first?